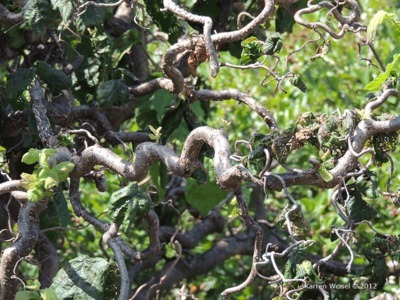 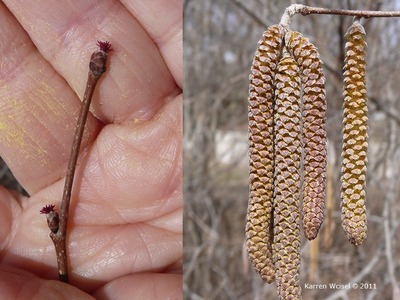 Corylus avellana 'Contorta' is a unique cultivar of European filbert selected for its twisted, contorted branching pattern. 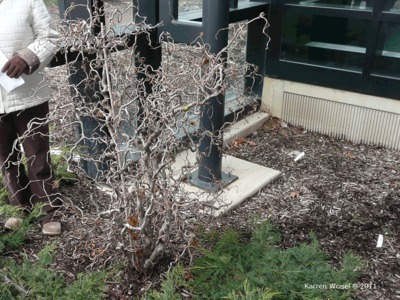 It is a large deciduous shrub that grows well in full sun to partial shade in average soils. 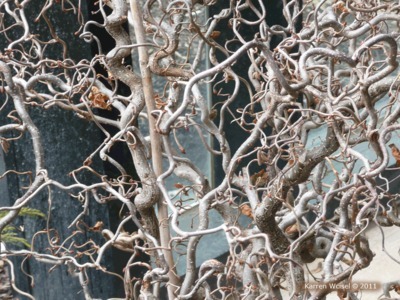 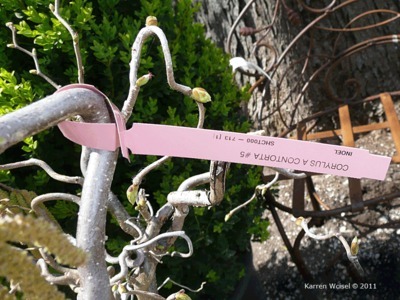 Its twisted character is especially delightful in winter when the contorted bare stems are most evident. 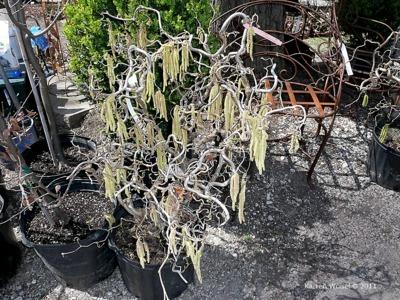 However, it is a grafted plant so care must be taken to prune out any growth from the understock as the vigorous growth from this region will not have twisted stems and can easily overtake the whole plant.